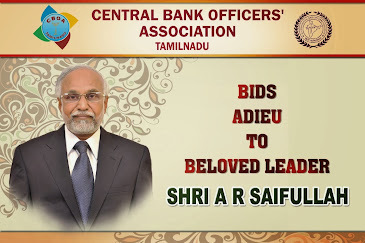 It is with great pride and pleasure that we advise you of the nomination of our President Sri.S.B.Rode on our Bank’s Board as the representative of the entire officer fraternity in our Bank. The announcement has been received vide Government notification No. 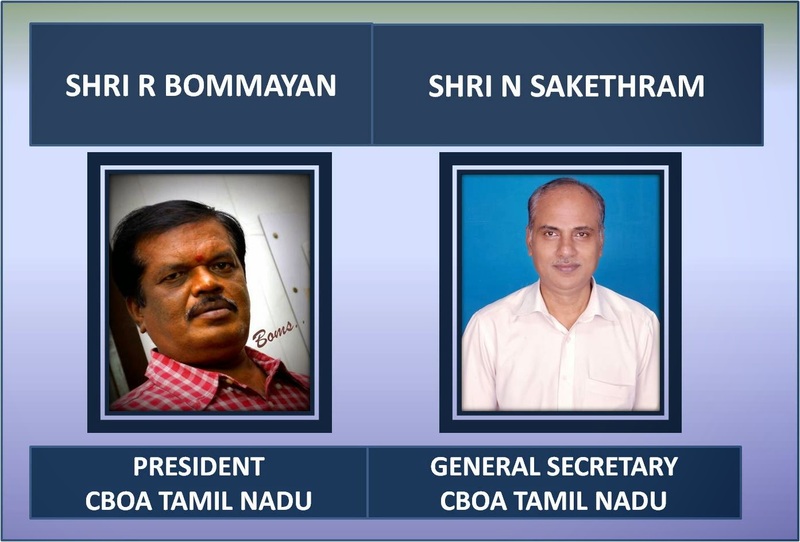 F.No/9/16/2009-Bo-I dated 2nd April 2013.When the news came, your General Secretary, President and Senior Vice President were participating in the Executive committee meeting of AIBOC at Chennai and the entire Executive Committee Members of AIBOC congratulated Sri.S.B.Rode for his appointment as Officer Director. This appointment has been received with great enthusiasm and pride by the officers’ community. The continuous phone calls/messages from thousands of officers from all corners of the country exhibit the happiness and joy felt by the officers of our Bank. We are very much overwhelmed with the love and affection of the officers’ community. We convey our heartiest thanks and gratitude for the good wishes and the appreciation from all of you. We are confident that all of you will contribute your best efforts to make the FEDERATION STRONGER AND VIBRANT. Sri.S.B.Rode’s elevation is a recognition of our solidarity and strength at the highest level. With his entry into the Board, our voice will be heard loud and clear where it matters most. A clear cut trade union perception is the need of the hour. It is after great struggle including legal battles, that our right to be heard at the Board level was reestablished. Let us remember with gratitude, the dedication and sacrifice of those who walked before us in our great union movement. Sri.S.B.Rode is in the Trade Union movement for the last 21 years. At present he is the General Secretary of our Pune unit. He is known for his forthrightness and fearless approach. He has been a tireless soldier of our Organization. We take this opportunity to convey our heartiest congratulations to Sri.S.B.Rode. We wish him a meaningful, positive and successful tenure on the Board of our Bank as the representative of entire officers’ community. Long live the concept of Bilateralism. Our Bank has registered a spectacular all time Business figure of more than Rs 4000000000000 (Four lac crores) and contained the slippages into NPA for the year ended March 2013. The strong workforce of our Bank is extremely elated over such a good performance. We are indeed happy about the outcome. We take this opportunity to place on record our deep sense of appreciation to Sri.M.V.Tanksale, our CMD, Sri.Malay Mukherji & Sri.R.K.Goyal, Executive Directors and the entire team of Executives for evolving appropriate measures to attain such a magic figure. Of course our heartiest congratulations go to each and every officer and other staff members but for whose untiring efforts at the branch level, such a feat could not have been achieved. Our special word of appreciation for the Branch Managers and officers for their sincere efforts in realizing the goals.